Eye Luv Lucy is unlike any other optical store in the South San Jose Area. We don’t follow the crowd carrying the same tired styles every other optical shop sells. Instead, Eye Luv Lucy has searched the world over to bring the finest made eyeglasses from the world’s leading designers to showcase in our cozy South San Jose store. We have hundreds of frames to choose from in a variety of colors to fit your sense of style, your face shape, your skin tones, your prescription, and your pocketbook. Choose from a variety of styles as individual as your personality and we will help you with the finest in cutting edge optics to make your eyeglasses and your eyesight practically perfect. 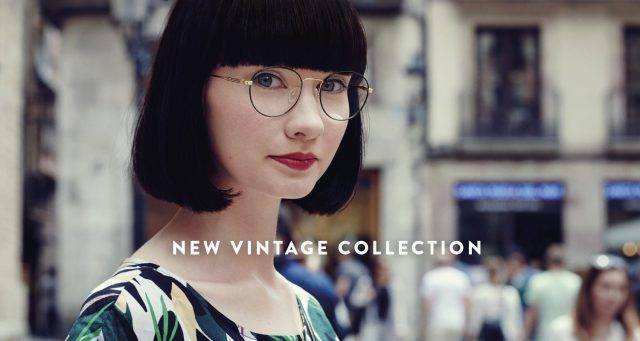 Etnia Barcelona presents its Vintage collection, 15 sun and prescription models that incorporate metal and original acetates from the seventies…. Lenses are the most important aspect of your eyeglasses. You probably don’t think about it, but it’s the lenses that do the work for you! Sunglasses protect your eyes, and the skin around them, from the sun’s harmful UV rays.